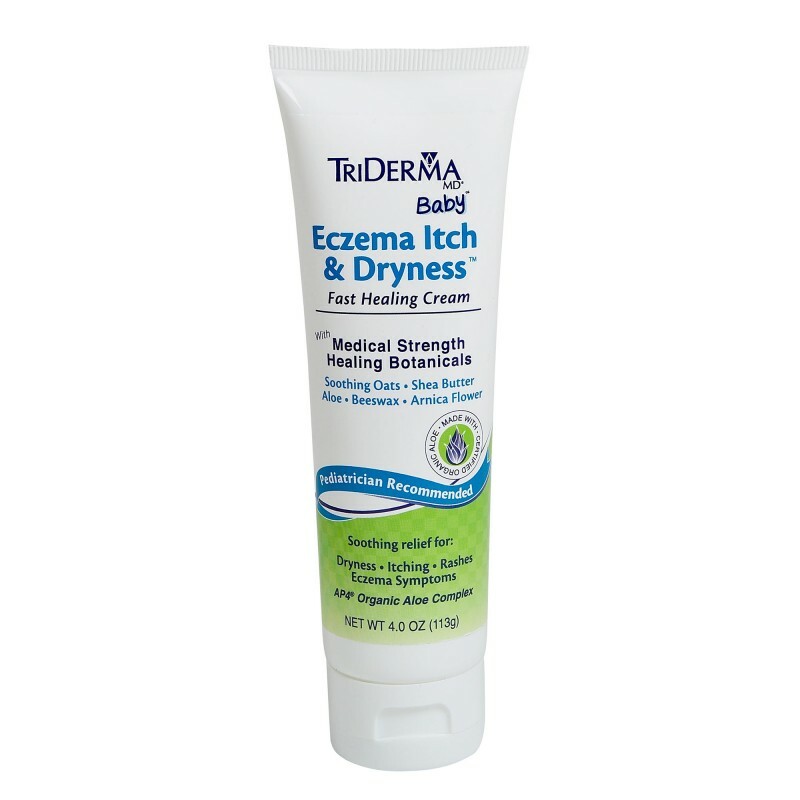 Eczema Itch & Dryness™ Fast Healing Cream is a concentrated botanical healing cream that combines some of nature’s best to help heal red irritated, dry and itchy skin. Contains powerful, yet gentle itch relief. • Studies show that moisturizing is essential to help keep skin healthy. 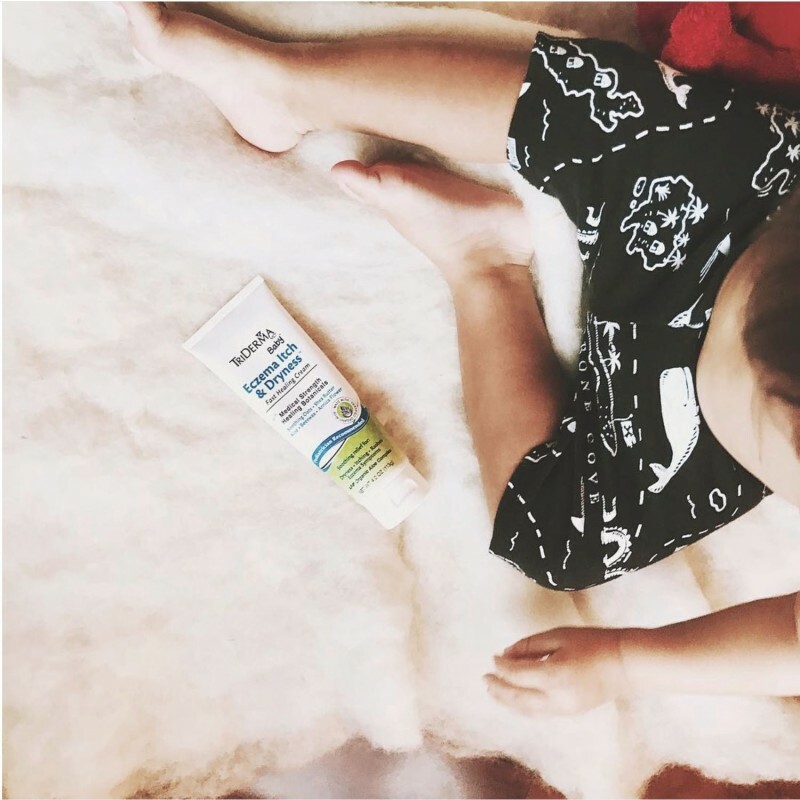 • Babies need special care to help protect against dryness, rashes, and eczema-like symptoms which can appear anywhere on the body. Just bought this product 1 day ago and I can instantly see a difference.. Love this product! Thank you! Ever since I began using this product, I'm experience less itchy and dry skin! Will recommend to friends for sure! Very soothing and non- greasy. I had some itching and redness and when I applied the lotion, my skin felt relieved. My hands were absolutely horrible from eczema. They were embarrassing, hurt terribly and people were actually scared to shake hands with me or let me touch their babies, but after one month of using your product as directed, my hands looked and felt great! Thank you for helping me get my health and happiness back. I've told all my friends how great it worked for me in hopes that they'll try it too! I love this product because this cream always heals my dry skin. My eczema has gotten better. I use this product for my eczema and it works great. I tried this cream for about 1 Day. It relieved my itch about 2 minutes. I have eczema all over my body and used all over. Immediate results. Stopped dreadful itching. I had researched product online and decided to give it shot after my doctor told me that the dark spots on my legs were eczema. He just recommended I get something over the counter. Best choice I could ever have made. After I gave it a few minutes to actually work, it took the itchy-ness away completely. I'm pleased with the product so far. Takes the little eczema bumps away after awhile also, but you need to keep using it. It's cheap at W-world. I love the cream. It's not oily or greasy. Improves the itch and the dry scaly flaky appearance almost immediately. I started using this cream on my daughter who has eczema and it is amazing! So then I started using it for myself just for normal dry skin and I love the way it make my skin feel! I had an unknown rash come up on my face. I saw this product and gave it a try due to it being a natural based products. I like the no paraben and no cortisone. I don't want to use steroids. I will keep this in my medicine cabinet for all my skin rash concerns! I was pleased to see your other products which I am excited to try. I have tried everything for my dry skin and this is by far the ONLY product that has worked. It feels so soft and absorbs wonderfully. It's not greasy and contains no parabens. I use it for my body and face and I don't have to reapply all day. Winter in Michigan can be harsh and regular lotions just don't cut it especially as you get older. My 9 year old son gets eczema in the winter and this helped heal his rash in a week! Another thing I love is the ingredients! Oatmeal, shea butter, beeswax and vitamins B & E are what attracted me the most. Oh and it's made with organic aloe! Also the fact that it's recommended by dermatologists is a definite plus! Very satisfied overall and would recommend it. I have tried many eczema products on my skin and TriDerma is the best one I have found. It helps heal my eczema and relieves the itch better than any other products I have tried. I will continue to use TriDerma when my eczema flares up. I have tried several creams and this one is the best so far. It is not oily and has really helped my dry skin. Read information on box and tried product for my eczema and got immediate relief just purchased it again love the non - greasy feel it really is fast acting. In the past always looked for products with Urea and have now found a product which really works. I just want to say how amazing this stuff is! I have had dry and itchy skin for years and years and this is my absolute favorite!!! Everybody should definitely try it if you have these problems! I love this product it has helped my eczema so much, my skin was so dry and itchy but when I started using this product it has helped my skin so much. I am so glad I purchased this product. My baby had a bad eczema. It quickly spread to the rest of the body..took him to so many doctors. But nothin worked on his body. My sister read reviews of this product and recomended me to buy this product. I was so hesitant in purchasing it as i was so tired of putting all sorts of cream on my beautiful baby. But than i decided why not give a go. I purchased it. Applied on my baby and just in one day i started noticing a huge difference of my baby skin. Red patches has been soothed. And his skin feel so soft and healthy. I have a faith that within a week this cream will shlw a big difference to my babys skin. Thank you TriDerma indeed your cream is a Miracle cream. This product is the only thing that helped my skin. Definitely recommend this product. Was quite anxious to try this product. After several weeks I noticed it help with my itchy skin, while at the same time help heal it! Happy customer! I got this for my nephews (4 months and 3 years old) who both have really itchy skin, and mild ezcema. I've used the redness relief cream daily for years and other products, so I ordered this when my sister said her kids were having problems but didn't want to use anything harsh on their skin. When we put it on my three year old nephew he said "oh this makes my skin feel cool, not hot" so it must have felt really good no tot have itchy burning skin! Apply 1 to 3 times daily, or as directed by a physician. aloe barbadensis (aloe vera) leaf juice*, urea, arnica montana flower extract, cetearyl alcohol, isopropyl palmitate, glycerin, polysorbate 60, beeswax, dimethicone, zinc PCA, sodium PCA, panthenol (vitamin B5), butyrospermum parkii (shea butter), tocopheryl acetate (vitamin E), sodium hyaluronate, cetyl alcohol, sodium phytate, sodium hydroxide, phenoxyethanol, ethylhexylglycerin.